I found an external drive with images from prior to 2007. 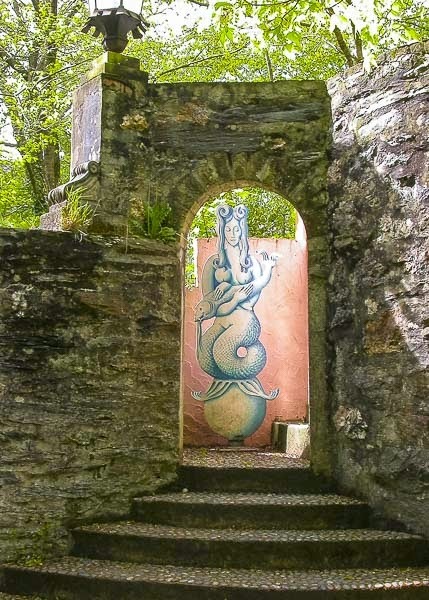 These images of a visit to Port Meirion in Wales were taken in 2004. 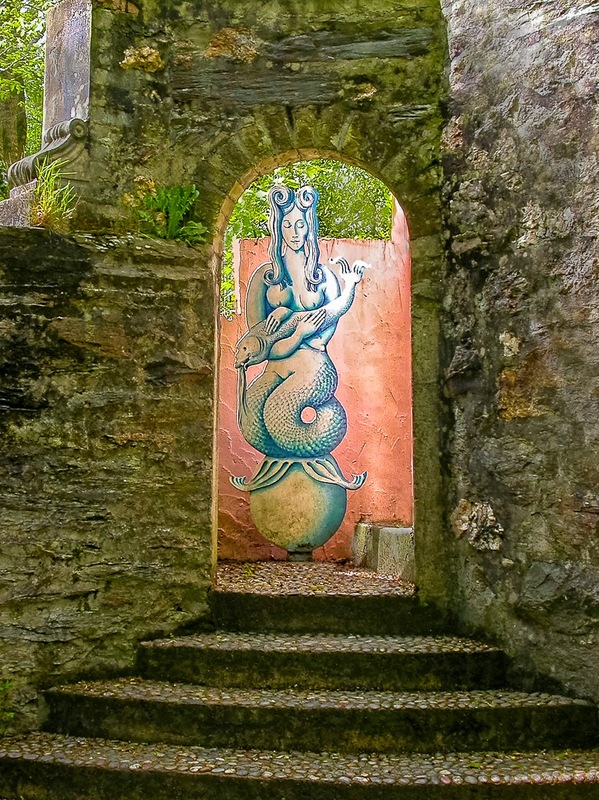 I decided to bring out the magical qualities of the Port Meirion art and architecture by cropping the image, removing the distracting contrasting light on the stone walls and steps, and then bringing out the details and adding saturation to the painting. I hope this image now shows off the creative and decorative element in the garden.